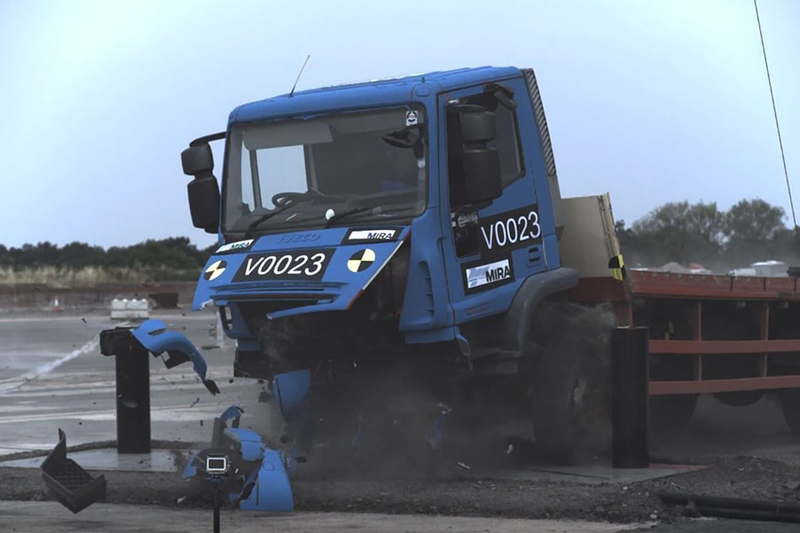 We are delighted to announce that we have succeeded in our recent crash test for our latest perimeter security product, the Electro Mechanical Matador, based on our award-winning hydraulic Matador. 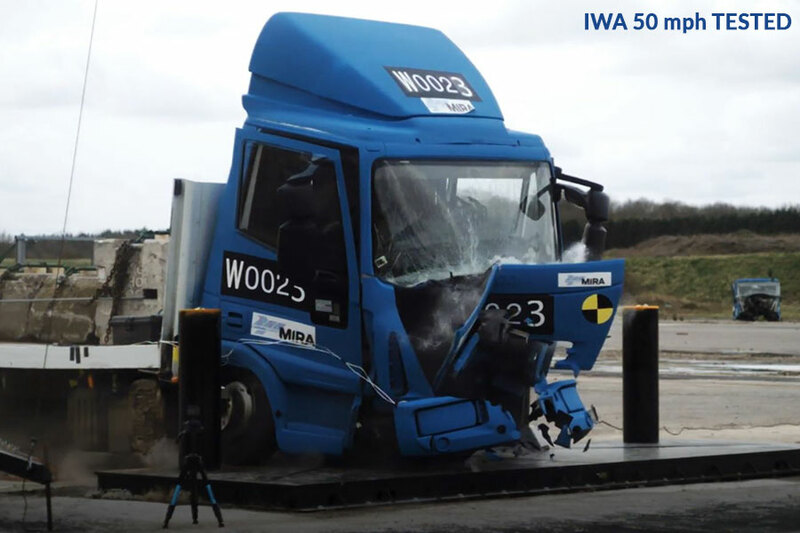 The Electro Mechanical Matador succeeded in its IWA crash test halting an 18 tonner N3C vehicle travelling at 64 kph (40 mph). After the impact, the Electro Mechanical Matador continued to function, offering on-going protection and ensuring emergency services have continued access. Following on from the success of our innovative hydraulic Matador system, the Electro Mechanical Matador has been introduced as part of our new EM range. 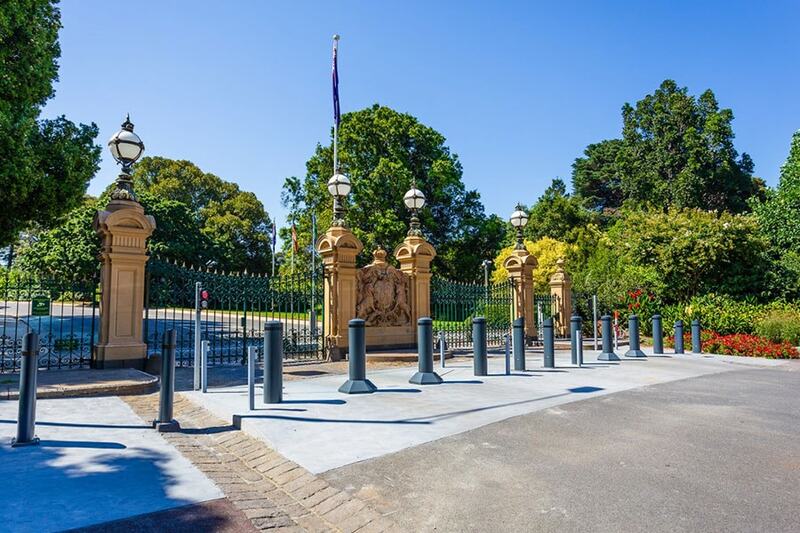 Available with either three or four bollards, the sliding security system has many additional benefits including using 80% less electricity to operate, plus a smaller cabinet to house controls, meaning the EM Matador reduces the carbon and space footprint. There is no need for hydraulic runs or large power units as this system runs off a single phase 13 AMP supply. The EM Matador can also operate from a generator where no power supply is available, or for temporary events management. The new model has the ability to be surfaced mounted, revolutionising the perimeter security industry. Its surface mount feature means the Electro Mechanical Matador is suitable for temporary events, as well as permanent installs. The four unit is supplied in two sections bolted in the middle. This allows for easy handling procedures, shipping and also any road camber adjustments. To find out more about the Electro Mechanical Matador, get in contact with our friendly and knowledgeable sales team by emailing sales@heald.uk.com or by calling our office on +44 (0)1964 535858.